Budgets...we all got ‘em. Except maybe Martyn Lawrence Bullard who designs for the Kardashian clan. Martyn…if you are reading this…can you confirm?! For the rest of us, don’t let the “B” word burst your design bubble. As designers ourselves, we understand the need for options (and we know you love options!). 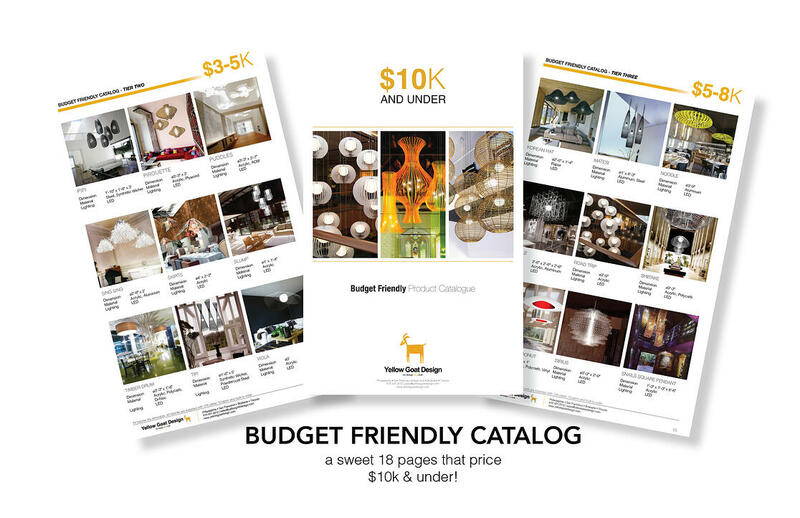 Let me introduce you to our Budget Friendly Catalog: featuring 16 pages(!!) of designs that price $10k and under. Need to VE?! Whip out this handy guide and aim to please. Each design will still be custom and built for your project (we don’t stock!) so take advantage and do some tweaking to keep it unique. We hope this catalog will be a crowd-pleaser! Sending a big thanks to our fans who requested this resourceful tool. Ask the Goat…and we’ll say ‘totes!